Glowing, healthy skin is one of the key components of beauty. People of all ages are increasingly turning to skin resurfacing treatments to erase blemishes and repair damage done by UV radiation and environmental toxins. At Renew MediSpa, we provide a wide range of powerful yet gentle and nourishing skin treatments to our patients in Southeastern New Hampshire, including Windham, Bedford, Londonderry, and nearby areas. 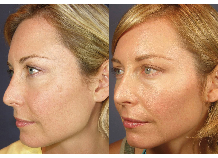 One of the effective skin treatments we offer is called the Vi Peel, which treats hyper-pigmentation in the skin. 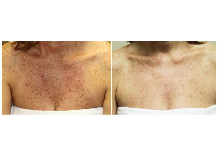 For patients trying to remove acne, melasma, fine lines and wrinkles, this laser treatment is the ideal solution. You will notice a marked improvement in the clarity, tone, and texture of the skin while enjoying a more radiant and youthful appearance. 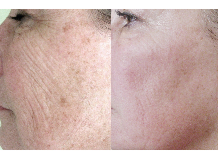 The Vi Peel is specifically engineered to reduce and even reverse the visible signs of aging and sun damage. 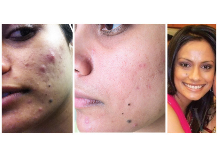 This treatment also restores a healthy oil balance, eliminates acne-causing bacteria, and treats skin discoloration related to hormonal changes. It contains a blend of powerful ingredients that work synergistically to create smoother, younger looking skin. Vi Peels have been formulated using a combination of trichloracetic acid, salicylic acid, phenol, retinoic acid, kojic acid, L-ascorbic acid, hydroquinone, benzoyl peroxide, hydrocortisone, and a mineral blend. This proprietary blend can be applied to the neck, face, chest, arms, and hands, and each treatment takes 30 minutes or less. Unlike conventional chemical peels, the Vi Peel doesn’t “burn away” the uppermost layer of the skin; instead, it exfoliates the epidermis to encourage the natural shedding of dead and damaged cells. This gentle approach reduces discomfort, speeds recovery, and makes the Vi Peel suitable for use on all skin types, including dark skin. The Vi Peel is so gentle that it can even be used safely on the area under the eyes, where it works to improve skin firmness, lighten dark circles, and remove fine lines. 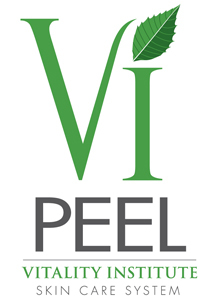 Like most dermal peels, the Vi Peel can be customized to meet each individual patient’s needs. Our experienced staff can apply this peel frequently (about once per month) to repair deeply damaged skin in just two to four treatments. By contrast, patients with good existing skin tone may need only two peels per year to maintain a fresh glow. During your consultation, our team of skincare experts will examine your skin and review your treatment goals, then suggest a skincare plan that will work for you. Age-related skin changes, including fine lines, areas of rough or leathery skin, and skin laxity. Certain skin conditions, like acne (including acne-related scarring and redness), eczema, and psoriasis. All prices include: Initial consultation, Peel application, Post-peel follow up, and a Take home kit of product including towelettes, Post-peel protectant, and SPF 50. You receive a new Take home kit with EACH peel. About five hours after you return home from your Vi Peel appointment, you’ll be able to wash off the face mask that was applied during your treatment. Within two days, you will start to notice light peeling and flaking as dead skin cells are shed; however, soreness and irritation are not common side-effects of the Vi Peel. After about six days, your skin will stop flaking and you’ll notice a new layer of clear, smooth skin forming. Downtime is not necessary for most patients having this treatment, but some people prefer to take a few days off of work for cosmetic reasons. For several weeks after each treatment, you will need to carefully avoid exposure to UV radiation (healing skin is more vulnerable to sun damage). Use the medical-grade sunscreen we’ll provide every time you go outside, even if it’s overcast, and use a wide-brimmed hat for added protection. How Long do the Results of the Vi Peel Last? 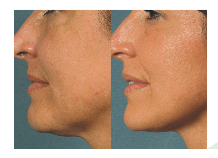 The results of a single Vi Peel treatment remain visible for at least six months. After six months have passed, we recommend having a follow-up treatment to maintain flawless skin tone and texture. Repeated dermal peel treatments also ensure consistent collagen production, thereby preventing the formation of new lines, creases, and textural problems. For more comprehensive rejuvenation, you can choose to pair your Vi Peel with complementary non-surgical treatments, like dermal fillers. Note that not all of the results of your peel will be visible immediately after your skin has finished peeling. Continued improvements in skin condition are generally seen to for up to six weeks after each treatment. Achieving clear, youthful skin doesn’t have to be painful, inconvenient, or costly. “Next generation” skin resurfacing treatments like the Vi Peel can create flawless results without discomfort or side-effects. To learn more about the many benefits of this treatment, contact Renew MediSpa in Windham, New Hampshire to arrange your personal consultation. You can reach Dr. Lisa Vuich online or by phone at: 603-894-0070. 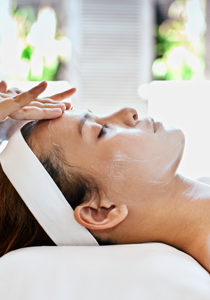 We look forward to meeting you and introducing you to our advanced skincare services. 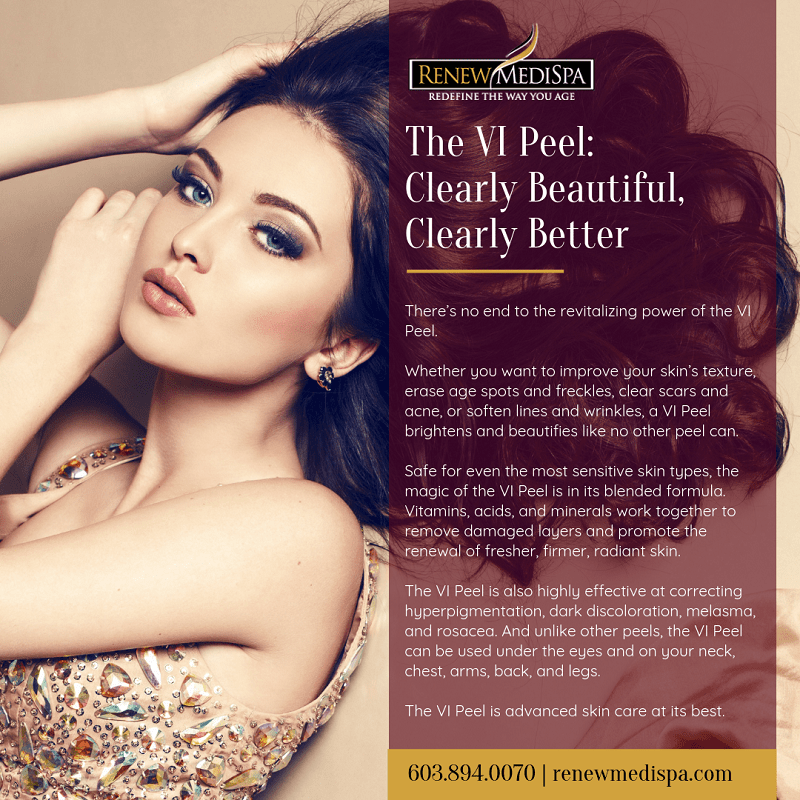 If you’re interested in learning more about the Vi Peel, call us today to schedule your appointment.